Author: Dr Duncan Westland MBCS, MBA, MA, D.Phil. 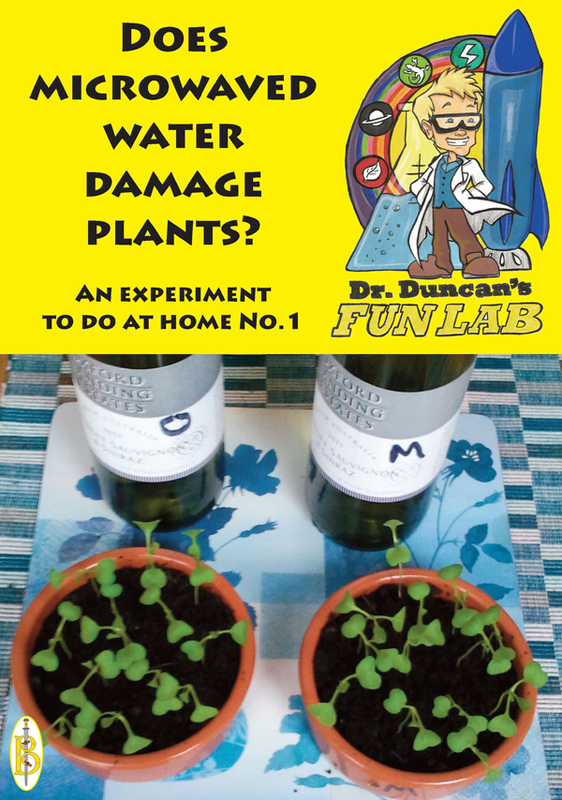 Dr Duncan’s Fun Lab is a series of ebooks, each of which features a fun and educational science experiment to do at home. It is well known that powerful microwaves can be dangerous in some circumstances. It is for this reason that microwave ovens that have been damaged, perhaps by dropping them, should be disposed of. There have been some concerns raised that water or other materials that have been heated in a microwave oven may have suffered damage. It has been suggested that the chemical composition of the object may have been permanently damaged, with harmful effects to anyone who then eats that food. Series consultant: Dr Duncan Westland MBCS, MBA, MA, D.Phil.